Leading independent oil company Phoenix Petroleum kicked off the second year of the Pinoy Tsuper Hero program with its first activation on March 31 to April 1 at Phoenix Lipa Station, Batangas and Rosario, Batangas tricycle terminal. Over 1,000 nominations were gathered during the two-day activity. This will be followed by a series of nationwide nomination caravan from April to July. 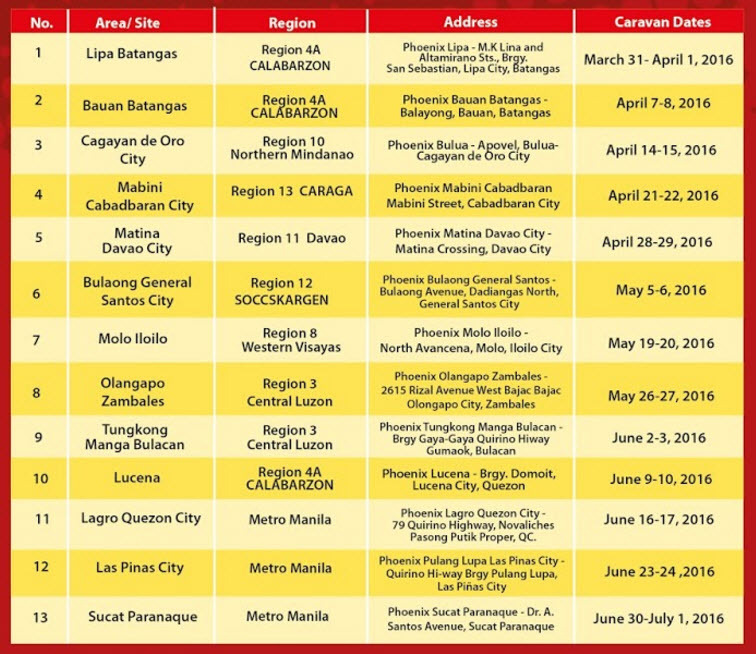 Aspiring Pinoy Tsuper Heroes can join by visiting Phoenix stations on the days of the caravan where nomination forms are available. The nationwide search for inspiring Filipino drivers is open to all drivers of both public and private vehicles. They must be Filipino citizens, 21 years old and above, and willing to undergo trainings and workshops. They must not have committed traffic violations and/or been involved in vehicular accidents for the last two years. Ten regional winners will be selected to compete for the Pinoy Tsuper Hero title. A cash prize worth Php 140,000, one new unit of tricycle with free franchise, Php 50,000 worth of fuel and lubes products, and P1million worth of family accident insurance will be given to the grand winner. The winner will also serve as the official Phoenix Petroleum Ambassador for one year. The Pinoy Tsuper Hero program is presented by Phoenix Petroleum, in partnership with ABS-CBN Lingkod Kapamilya Foundation Inc. and Bayan Academy for Social Entrepreneurship and Human Resource Development. The program aims to acknowledge deserving Filipino drivers to become champions of the roads, both in terms of discipline and reducing air pollution in the country. For more information, please call (02) 426-3140; (02) 920-3025, or e-mail pinoytsuperhero@gmail.com.